Numerous studies have shown that we only add value around 5% of the time within our business operations; the remaining 95% is a waste! Imagine if you could remove that 95% wasted time and effort; what would it do for your operations? Research conducted by the Lean Enterprise Research Centre (LERC) found that 60% of production activities in a typical manufacturing operation are waste – they add no value at all for the customer. These studies highlight the importance of lean manufacturing for businesses. This approach is all about cutting out or minimizing activities that do not add value to the production process, such as holding stock, repairing faulty product and unnecessary movement of people and product around the business. 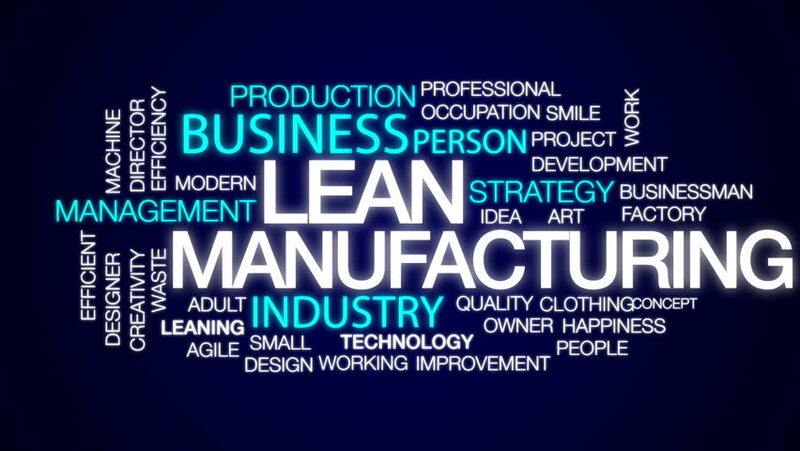 Originated in the manufacturing plants of Japan, lean production has now been adopted by large corporations. The concept of lean manufacturing allows businesses to remain competitive due to the elimination of waste which leads to cost reduction and higher profitability. The pioneering work of Toyota (leader in lean production) identified the key aspects of lean production which are: Time-based management, Simultaneous engineering, Just in time production (JIT), Cell production, Kaizen (Continuous improvement), Quality improvement and management. So how does lean manufacturing help businesses? The ability to do the job with fewer people becomes a very real possibility with standardized work and increased efficiencies. This does not mean that people should be fired. The concept of lean would have these freed-up people utilized to perform further kaizen activity, training to enhance skill level, or maintenance of the system once it is implemented. The work instructions and standardized work let people know what they have to do and when. This makes managing an area much easier. If problems arise, they will be much easier to deal with in a team environment where the support groups are eager to help solve problems. Lean is meant to involve the whole company. It is not intended to be put into action in only one area. It is a management philosophy which should include every part of your organization. This helps promote unity in the company. Lean manufacturing forces you to attack an issue and continue to investigate it until it has been eliminated. Root cause analysis and cross-functional teams are utilized to ensure a problem receives the level of attention it deserves to correct it. As part of the waste reduction process, space will be created. Reduction of finished and raw inventory will save space vertically in your racking as well as horizontally across your floor. Visual management will help identify when things are out of place. When unnecessary elements are removed from the operation, the workplace becomes much more organized. And an organized work environment is a safe work environment. Once the concept of lean starts to get accepted by employees, you will see employee morale on the rise. Employee involvement and empowerment will make all members of your company feel like a contributing part of the team. And the reduction of uncertainty in the workplace, as a result of lean, will reduce stress in your team members and lead to improved employee morale. A lot of the activity in a lean environment is focused towards improving quality. As quality issues arise, problem-solving techniques are used to root cause the problem. From there, mistake proofing is put in place to strengthen the process and prevent recurrence. As a result, the quality of your product will be improved. Another benefit of lean manufacturing is management by sight. If done correctly, your plant will be set up so you can evaluate an entire area with a visual scan. Any abnormalities will stand out and be easy to identify as a problem. Line balancing will ensure each person in the process is working in the most efficient manner. Standardized work will ensure they are doing it correctly following the same method every time. This leads to repeatability and increased efficiencies. How to achieve efficiency in lean manufacturing? Through these courses, employees learn about the subject thoroughly through an engaging modern and innovative training solution provided through internal academies. In this way, employees gain the skills and knowledge they need, enabling them to apply what they are learning in their daily tasks. The concept of lean manufacturing is an incredibly powerful one for any business that wants to remain competitive. This is mainly because eliminating waste means reducing cost and adding value. Training can be a good way to learn about how to implement the strategies effectively and therefore achieve sustainable benefits.